First, you may diagnose which Apple program is the root that cause the error by uninstalling all Apple programs in Control Panel. In my case, I was unable to uninstall Apple Software Update because a file called AppleSoftwareUpdate.msi is missing. Press Windows key + r and run Regedit. Type applesoftwareupdate.msi and start the search. In the left pane of Regedit, right click the Shell Folder of Apple Software Update and click Delete. Install iTunes 12.3. The iTunes installer will re-install all the required software successfully. Note: Be careful working in the Regedit, it is important to know what are you doing. Finally!!! This worked after searching many help forums. Thanks so much!!!! No problem man, happy new year! I agree with AJ, you have to delete the upper folder of SourceList as well. Thanks everyone. I have the same problem with iTunes and I tried your procedure. Before finish it i was a bit concerned about the "Shell Folder of Apple Software Update". Using Regedit i found that applesoftwareupdate.msi is located in a folder named "SourceList". Is this folder that i should delete? Hi, before you delete the folder, export(save) the parent folder of the "SourceList" as a backup file so that it can be restored if it doesn't help. 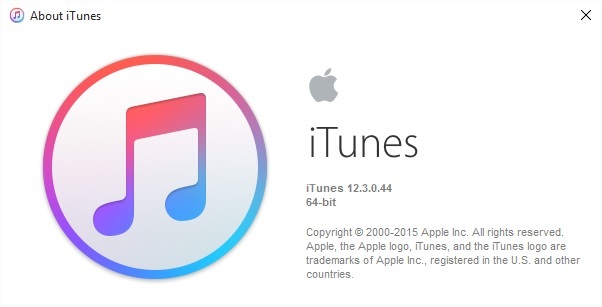 Next step is download and install the latest version of iTunes from Apple's website. Hi, it worked nicely! Thank you very much! I had the exact same problem and followed your steps above and it worked, Whew! A big thank you! I have the same problem. Follow the way you share, I try to find the file AppleSoftwareUpdate.msi, but you know, I can't find that file. Words cannot express how thankful I am to you sir. I tried with tons of recommended solutions but none worked until I came across yours. Thank you! Thank you so much! this works like wonder! When I get to the part about the shell folder, my computer seems to have a few folders that are "shell", so I don't know which one should be deleted. After following your directions, my computer can't find the applesoftwareupdate.msi file. Now what? You are heaven sent :) Worked like magic. Thanks a bunch!!! Do you have to reinstall itunes though? Is there another way to fix it? This worked great - be sure to 'export' your registry first, in case something goes wrong with the delete, you can 'import' the original registry and start over. to export: File -> Export : then save it somewhere on your desktop (or anywhere else). When deleting the applesoftwareupdate.msi, the directory it is in is called 'Source', you need to delete the parent of that directory for this to work. It worked great for me. Can't find the shell folder. Is there another name for it? Didn't work for me. I still get the error "The file 'C:\Users...\AppleSoftwareUpdate.msi' is not a valid installation package for the product Apple Software Update. Try to find the installation package 'AppleSoftwareUpdate.msi' in a folder from which you can install Apple Software Update." u need to delete the upper document, not just the source list, the one with some random numbers and letters. thank you so much, your detailed explanation is what made the whole difference for me and help me solve that problem!!!! thanks man! it works! God Bless! "In the left pane of Regedit, right click the Shell Folder of Apple Software Update" Where? Seriously, you are a life saver!! Thank you so much for this! its work! i been searching solution for whole day! thanks! I tried deleting the Shell Folder but received an error message "Cannot delete 56.....: Error while deleting key"
Any suggestions on how to proceed at this point? I believe I solved my problem. Switched to the Administrator account on my PC and was able to delete the AppleSoftwareUpdate.msi file and its Shell Folder. I'm still having issues finding what I need to delete? I'm considering on bringing my laptop into the Apple store!! this is a pain, Apple needs to make a Patch for this issue! I have searched "Shell" "Source" & "applesoftwareupdate.msi" I cant find any folder you are all talking about on the Left side? Thank you from Colombia! !Worked just fine for me! worked for me too! thank you!!! After three hours of searching this knocked it out!! Thanks for all your help. I tried this but still can't get it to uninstall. When I try to uninstall I get the error "This action is only valid for products that are currently installed." When I try to reinstall iTunes it gives the error, "A later version of Apple Software is already installed on this computer." 1.5 hours on the phone with Apple support but we only uninstalled and reinstalled a few times, which hasn't changed the situation. Does anyone have any other ideas? Many many thanks!!! I was fed up with being unable to update iTunes, since too many months!!! yours explanations are very clear, It's just fantastic !!! Thank you!!! Thank you!!! I tried a lot of options, but just this solution works. Thank You Mok, you are a legend. Ive spent hours try to fix this issue. Followed your instructions and my ITunes is now working, Apple should employ you as there website help is crap. I tried this fix 2 weeks ago and the problem with the msi file has resurfaced again. Anyone have any ideas why this is recurring and how I can make the fix permanent? Thanks for your fast and easy help. My Control Panel will not let me uninstall it unless I have that file. This is the same goes for the "Bonjour" & "iTunes" programs. This still works even with the recent to current version, thanks! Amazing Post. From Sunday, September 27, 2015 until Friday 8 June 2018, your post still helping many people, including me. Apple's should consider to put this solution on their pages, and giving Mok a royalty compensation for their mess!